I’m about to take my first trip by air as a wheelchair-user and am wondering about the best way to manage all my luggage. 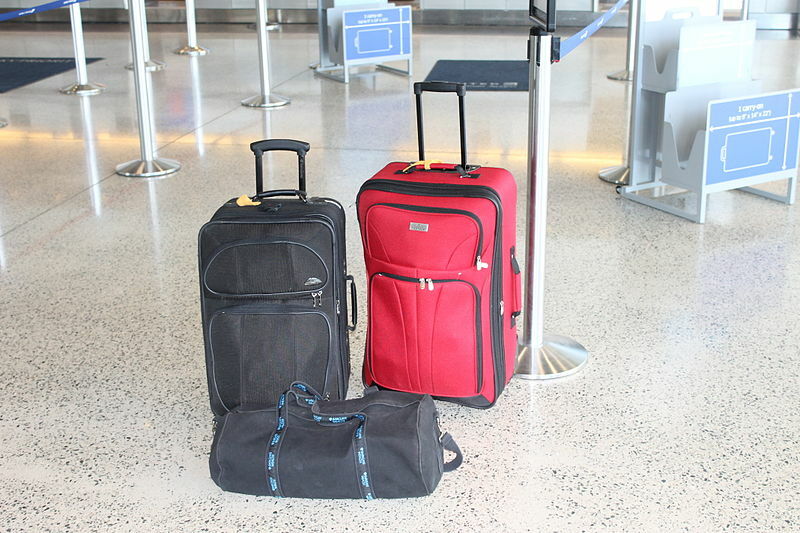 I use a manual wheelchair and can push myself, but I’m trying to figure out how I’ll be able to tow along my carry-on, as well as my checked baggage. I will be traveling with my girlfriend, but she will have her hands full with her own luggage. Do you have any suggestions? Basically you just have to figure out a system, and then keep to the game plan. In other words, make plans in advance so you will always know who will be handling what pieces of luggage. That way, nothing will get inadvertently left behind, or even misappropriated in a busy airport. Unfortunately the latter is sometimes a problem for wheelchair-users, as they are incorrectly perceived as weak and helpless and sometimes targeted by airport thieves. But, with a well thought out plan of action, it doesn’t have to be that way. First off, I recommend trading in your carry-on for a good quality back pack. Shop around and find something that works best for you, and then pack all your carry-on items in it, and carry it on the back of your wheelchair. Keep your travel documents, identification and some cash in a neck pouch for easy access. That way you won’t have to fumble through your backpack at check-in, security checkpoints or restaurants and shops in the terminal. Ask your girlfriend to downsize her carry-on to something that will fit comfortably in your lap, and then have her handle your two checked bags. In reality, she won’t have to wheel them far, as you can utilize curbside check-in service at most airports. After you drop your bags, your girlfriend can once again take charge of her own carry-on. And when you pick up your bags after the flight, she can get the first bag off the carousel, set it by you, and then go back to retrieve the other one. Then you can once again take her carry-on, while she wheels your two checked bags out of the terminal. Of course, you may want to customize the plan to fit your own needs, but my scenario at least gives you some place to start.